Sewing is becoming something of a lost art with the hustle and bustle of modern life and all of its conveniences that have done away with the necessity for people to make their own clothing and home linens anymore. However, many are attempting to reclaim this as a pastime, but do not know how to begin and so need lessons. 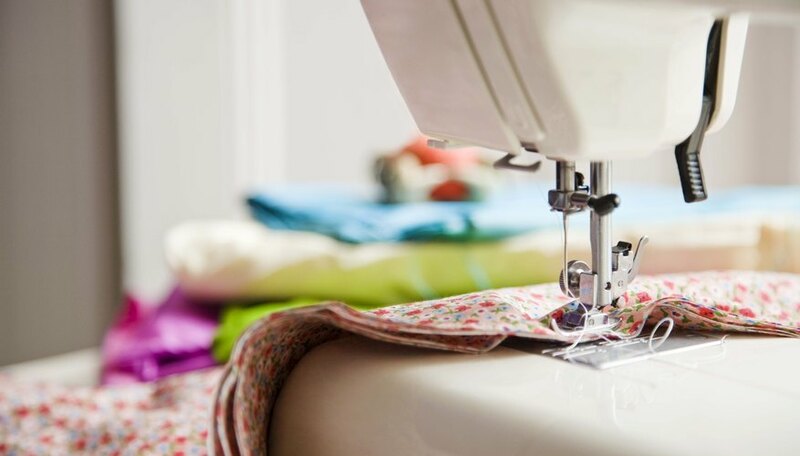 If you are considering offering sewing lessons, there are some important considerations to take into account when determining what to charge for sewing lessons. When trying to decide what to charge for sewing lessons, it is best to first determine what you're actually going to teach. For example, will you have a comprehensive course slowly working up to the most complex sewing techniques, or will you base your lessons on individual students' needs--i.e., a young girl wants to sew her own prom dress or a woman wants to learn to make quilts. This will help you to better determine how many lessons you expect to give and what each lesson should cost based on the number of lessons. You must also decide what materials will be included in the cost of lessons. If you will be providing all of the sewing implements, fabrics, thread and notions, and patterns, then you must factor the cost of these materials into the cost of the lessons. If you expect students to provide these for themselves, make sure to inform them before you begin and offer a list of things they'll need or plan for one of the first lessons to be a shopping trip where you assist them in choosing proper materials. Alternatively, you can offer to do this shopping for them, but they will pay for both the materials and for the time you've spent. Your time is another important consideration. Ask yourself what else you may be doing with the time you'll be giving lessons--are you considering making this your full-time job or is it merely supplemental income? Either way you will obviously need to determine how much money you need or want to make for this to be worth the time you're spending. Set yourself a minimum hourly wage, but you must balance this with what your students can reasonably afford to pay. You may want to consider working with students on a sliding-scale kind of payment system where you and the student negotiate a price for the sewing lessons that is acceptable to you both. For example, if your desired hourly wage is $15, you may want to design a comprehensive course of 10 one-hour lessons and have students provide their own materials--charge a flat $150 for the course or $15 per lesson. If you provide materials, then you will need to raise the price to cover these costs, but start by determining the flat fee first and then breaking it into per lesson prices if desired. If you are planning on teaching a class of students, what you charge for sewing lessons will differ somewhat from when you are working with individual students. Again, you will need to set yourself a minimum hourly wage or an overall goal for the course and determine how much each student will have to pay to achieve that based on the number of lessons, cost of materials. For example, if it costs you $300 to provide a two-hour beginning sewing class and you have an overall goal of a profit of $500, if you have 20 students each student will pay $40 for the class. If students provide their own materials, you could charge $25 or $30 per student. What Are Fine Art Courses in College?